Tickets: £150. Buy 2 tickets and get the second for £75. Special offer: Buy a full price ticket for £150 and get the second for £75. Discount will automatically be applied when you complete your order. 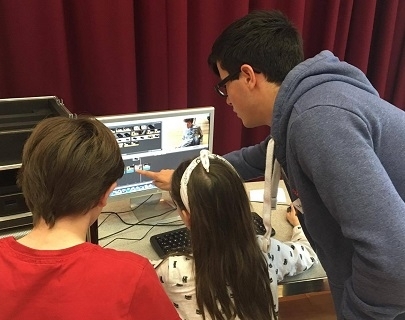 At this year’s film-making summer school, young people can choose a specialism in either Acting, Music, or Film-Making offering an opportunity more akin to how industry works. Throughout the week they will move between their specialist area and collaboration with the other teams to create both films and live performances, to be shared on the final day. The final performance will be held on Fri 10 Aug 5pm, and is free, but you must book a ticket for the Make It Reel: Film Premiere here. The Film-making team will work with Dom Breadmore of Ludic Rooms, to hone their film making skills through story boarding, producing, directing, and post production. They will work with the acting team to devise the story and cast it and musicians to underscore the final films. 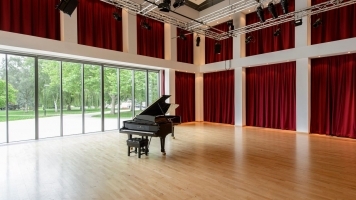 The acting team will work with Warwick Arts Centre’s Youth Theatre Director Natalie Hart, to explore acting for screen and stage, devise the film’s storyline, take on the starring roles and create a new piece of live performance for the final showcase event. The music team will work with Caro Churchill to create the film’s whole sound landscape including scoring, sound effects (both found and foley) and creating atmosphere through sound. They will also create a new live musical performance for the final showcase event. There are no expectations that participants will have a certain level of experience or technical knowledge, the opportunity is open to everyone who is enthusiastic about making films! At time of booking you’ll be able to choose whether you’ll be in the Acting, Music or Film-making group for the week, and we’re also pleased to offer the opportunity of wrap-around care for those up to 16 years old through the University of Warwick summer school. This comes a small addition cost, and further details can be found here. For further information, please contact the Creative Learning team on ed.artscentre@warwick.ac.uk or 024 7615 1793 or to book, please contact Box Office.